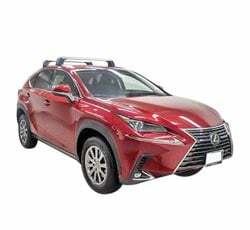 2019 Lexus NX Trim Levels with Comparisons & Configurations. What 2019 Lexus NX Trim Level Should you Buy? What is the Difference Between Trims? The 2019 Lexus NX is part of today’s small crossover craze. Although the NX may have a few shortcomings, it’s still a highly recommended family vehicle. You will appreciate the NX’s generous amount of legroom and solid fuel economy. Athletic styling also helps make the 2019 Lexus NX an appealing choice. Of course, every buyer can benefit from the SUV’s great long-term reliability. While some of its key rivals have received updates this year, the 2019 Lexus NX is virtually the same as before. With only three available trims in the lineup, you shouldn’t have a difficult time deciding which NX model to get. Nevertheless, Lexus does offer some tempting options. Let’s see what differentiates these trims. Compare the 2019 Lexus NX vs F Sport Trim Levels. What is the difference? The base 2019 Lexus NX has a starting price of around $36,150. This puts it right on par with the competition. Powering the Lexus NX is a turbocharged four-cylinder engine, which is rated to churn out 235 horsepower and 258 pound-feet of torque. A six-speed automatic gearbox helps put the power to the asphalt. Variable driving modes allow you to choose from Normal, Eco, and Sport settings. While the overwhelming majority of buyers will likely choose the standard FWD system, an optional AWD system helps the NX to overcome snowy road conditions. From a styling standpoint, the 2019 Lexus NX is far better equipped than the typical base model. It comes standard with set of 17-inch alloy wheels and full LED lighting. Power-folding mirrors help when squeezing into narrow parking spaces. Integrated exhaust outlets also add to the NX's premium appearance. Some of available exterior colors include Eminent White Pearl, Blue Vortex, and Atomic Silver. When stepping inside the base Lexus NX, expect to be impressed by its high-quality cabin. Because Lexus' NuLuxe simulated-leather material is so nice, you won’t miss having genuine leather upholstery. Like most crossovers in this segment, the NX comes standard with power-adjustable front seats. A reclining backseat helps your passengers to further unwind on lengthy road trips. Dual-zone automatic climate control is another one of the NX’s standard creature comforts. There’s ample technology inside the base NX. In-vehicle Wi-Fi enables your family to stay connected to the web. Bluetooth connectivity and Siri Eyes Free allow you to place hands-free phone calls, stream music, and excess driving directions. When encountering a problem on the road, you can lean upon the Lexus Enform Safety Connect emergency communications system. Some of the other standard equipment includes an 8.0-inch infotainment display, an eight-speaker audio system with satellite radio, and a backup camera. Fortunately, Lexus includes advanced safety tech on the base NX. While a pre-collision system with pedestrian detection heightens your sense of awareness, radar cruise control seamlessly adjusts your speed when traffic starts to slow. Lane-keep assist and automatic high beams are included as well. If you are not completely satisfied with the NX’s list of standard features, take advantage of the available options. Heated/ventilated front seats and a blind-spot monitor with rear cross-traffic alert come with the available Comfort package. An available premium package adds a larger set of 18-inch alloy wheels, a power-adjustable steering wheel, and a sunroof. To get the NX’s Luxury package, Lexus requires the purchase of the previously mentioned packages. Not only does the Luxury package wrap the interior in leather upholstery, but it also adds a heated steering wheel and automatic wipers. Although the Navigation package is an extra cost, the 10.3-inch navigation screen will greatly benefit travelers. A 10-speaker premium sound system is included as well. Some of the stand-alone options consist of upgraded LED headlights, a birds-eye parking camera, a power tailgate, and parking sensors. Although the NX F Sport may come equipped with the same engine, it steps up the driving fun by adding some performance upgrades. While a sports-tuned suspension system ensures more balanced handling, Sport S and Sport S+ drive modes give the SUV a more aggressive character. Unlike the base NX, the NX F Sport provides paddle shifters. An Adaptive Variable Suspension is optional, which promotes a better blend of ride comfort and sportiness. When comparing the base NX to the NX F Sport, there’s no overlooking the NX F Sport’s livelier appearance. It comes equipped with a mesh grille and a sleeker front bumper. A unique set of 18-inch performance wheels also come equipped on the NX F Sport. While the same basic features are found inside the NX F Sport, race-inspired interior treatments help set it apart. While performance gauges and aluminum pedals help trigger a stronger sense of driving excitement, sport seats with enhanced side bolsters help keep you planted on twisty roads. Compare the 2019 NX F Sport vs Hybrid. What is the difference? The new Lexus NX Hybrid features a hybrid powertrain, which pairs to a continuous variable transmission. Although its 194-horsepower production may be a bit less than the regular NX, good torque enables the NX hybrid to deliver good power around town. Nevertheless, you’ll notice the NX Hybrid doesn’t accelerate as quickly from a stop. An F-Sport version of the NX Hybrid is not offered. Fuel economy is definitely higher. The EPA rates the NX Hybrid to return a combined 31 mpg on regular unleaded, which outclasses the conventional NX’s combined fuel economy rating of 25 mpg. Furthermore, a special AWD system comes standard on the NX Hybrid. In comparison to NX models equipped with a conventional engine, the NX Hybrid comes equipped with many of the same standard features. There’s also an identical list of safety technologies on the NX Hybrid. Despite the similarities, there are a few key differences. To help drivers get the most fuel savings, Lexus equips the crossover with a hybrid gauge cluster. You’ll be able to easily monitor the NX Hybrid’s energy consumption. Luckily, the Lexus NX Hybrid does not force you to sacrifice passenger space. It proves the same amount of front and rear legroom as the regular model. However, there’s just a bit more cargo space in the back of the conventional Lexus NX. The base Lexus NX is a great choice. It comes loaded with family-friendly features, including a Wi-Fi hot spot and reclining rear seats. You’ll also appreciate standard driver-assist technologies like pre-collision braking and lane-keep assist. While there are plenty of available options, the Comfort package adds the most value. Heated/ventilated front seats and blind-spot monitoring are included in the package. If you desire sharper handling and a sportier look, don’t hesitate to step up to the NX F Sport. It’s only $2,390 more than the base NX. Although the performance-tuned suspension is stiffer, you’ll still experience a smooth highway ride. There’s also more exciting performance features on the inside, including a race-style steering wheel and sport seats. While an adaptive suspension is available on the NX F Sport, you probably can live without it. For drivers who prioritize fuel economy over driving fun, Lexus offers the NX Hybrid. Its combined fuel economy rating of 31 mpg ranks among the best in the class. While there are subtle styling differences between the NX Hybrid and the regular NX, you’ll have to look closely in order to spot the small variations. Remember, the Lexus NX is only $2,300 more expensive than the conventional NX. A standard AWD system enables you to save fuel while maintaining great traction during inclement weather. Unfortunately, the 2019 Lexus NX doesn’t have one of the best infotainment systems in the segment. Its Remote Touch controller is not easy for drivers to use. While you won’t be able to enjoy Android Auto, Apple CarPlay and Amazon Alexa now come standard with the interface. Drivers can also connect their smartphone via Bluetooth or Lexus Enform App Suite 2.0. While an 8.0-inch display screen comes standard, the optional 10.3-infotainment screen with navigation is a clear upgrade. Up-to-date traffic and weather information help you to find the easiest way to your destination. Like most crossovers, the 2019 Lexus NX offers all-wheel drive. By automatically adjusting the amount of torque sent to each wheel, it’s able to improve traction on slippery road surfaces. A standard AWD system adds to the NX Hybrid’s appeal. While the AWD-equipped NX is a great companion in the winter, don’t attempt to take it on a serious off-road adventure. The Lexus NX’s most important safety technologies come standard. When racking up the miles on the highway, you’ll appreciate the adaptive cruise control system. It smoothly adjusts your speed without causing any jerky movements. Lexus’ pre-collision system with pedestrian detection also performs well in traffic. Available as an option, blind-spot monitoring with rear cross-traffic alert is highly recommended. Most music listeners won’t be disappointed by the standard stereo system’s audio quality. It provides a clear sound clarity and a decent bass response. With that said, you’ll find the 10-speaker surround-sound system to be a bit better. All of the speakers are optimized to deliver the best possible sound. A woofer in the rear handles heavy bass notes.